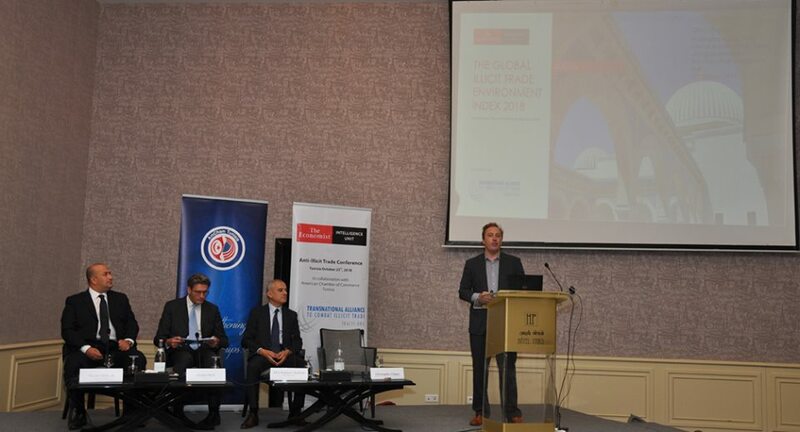 AmCham Tunisia held a lunch Discussion on 30 March 2017 in Tunis (Sheraton Hotel Tunis). 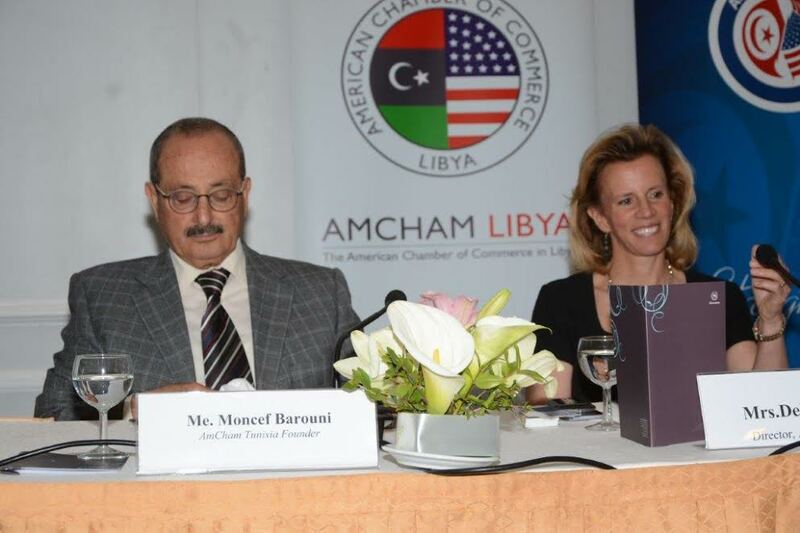 AmCham Tunisia welcomed the sister organization AmCham Libya, Mrs Debbie Hirst, Director of AmCham Libya and was one of the key speakers. During the luncheon; the various speakers made presentations on their various projects and their sectors of activities. M.Khaled Babbou, AmCham President welcomed the presence and thanked the sponsors of this event and stressed on the role that can play the two chambers to reinforce the business relations between the two countries. Mrs Hirst made the first presentation where she spoke about her experience as a foreign investor; resident in Libya and the challenges and opportunities this presents. 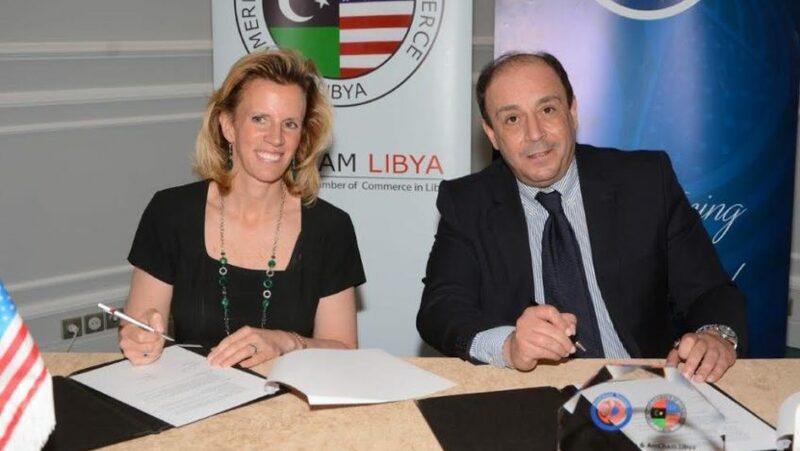 She spoke about AmCham Libya; a newly created organization aimed at assisting American businesses in Libya and Libyan companies interested in the US markets and opportunities. After the presentation of Mrs Hirst an MoU was signed between the two chambers. Later M.Colin B.Waitt, VP of LMI gave a presentation on his company specializing in consulting management for the American government, created over 55 years ago. 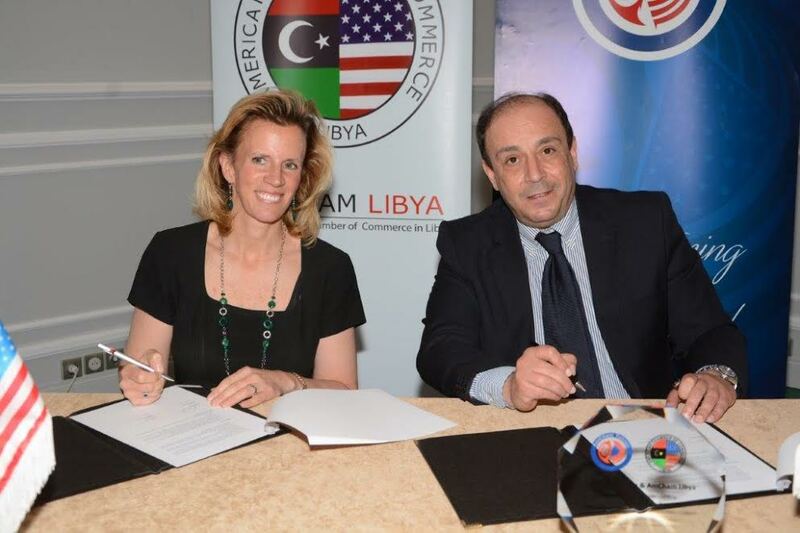 LMI was set up in Libya in 2013 and has maintained its activities with its Libyan partners despite logistical problems and travel difficulties. 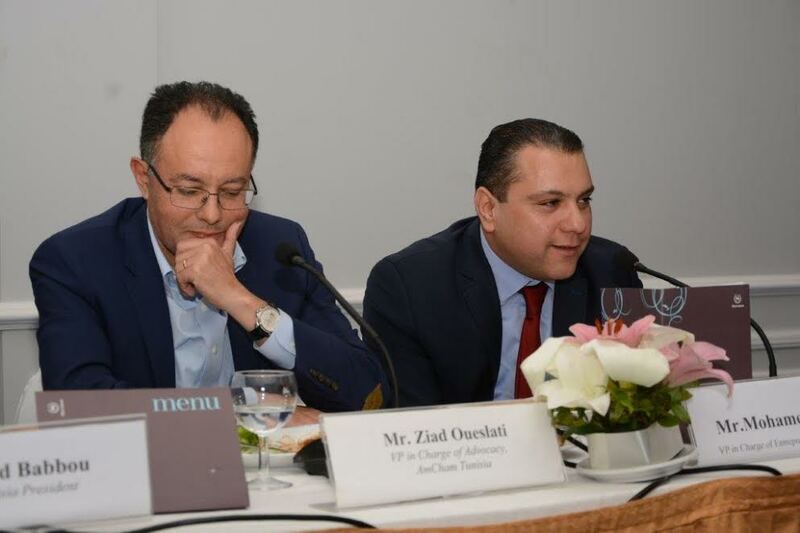 M. Zied Oueslati and M. Mohamed Bridaa, AmCham VP’s closed the presentations by summing up the ongoing activities of their companies (Microsoft) in Libya and with Libyan clients; some of which is carried out through Tunisia. At the end of the presentations, a Q&A session was opened. The participants asked various questions on the current situation in Libya on issues such as security; foreign currency; travel difficulties, forecasting the future for American companies or Tunisian companies in Libya, etc…. The speakers answered the questions in a very open and frank manner.